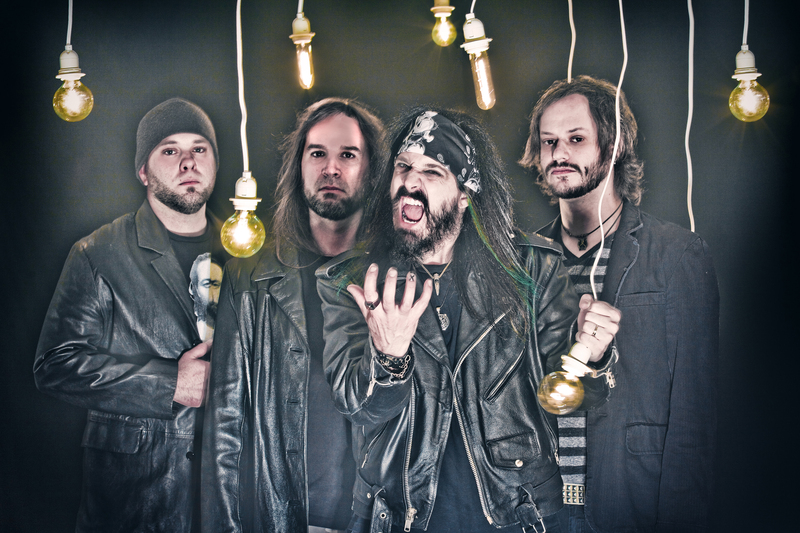 Everybody break out and raise your fists and glasses to this electrifying mix of Hard Rock and Punk Metal. I’ve been receiving some feedback on the material added to The Headbanging Moose, saying this webzine is getting too “evil” with all the Death and Black Metal bands recently reviewed. 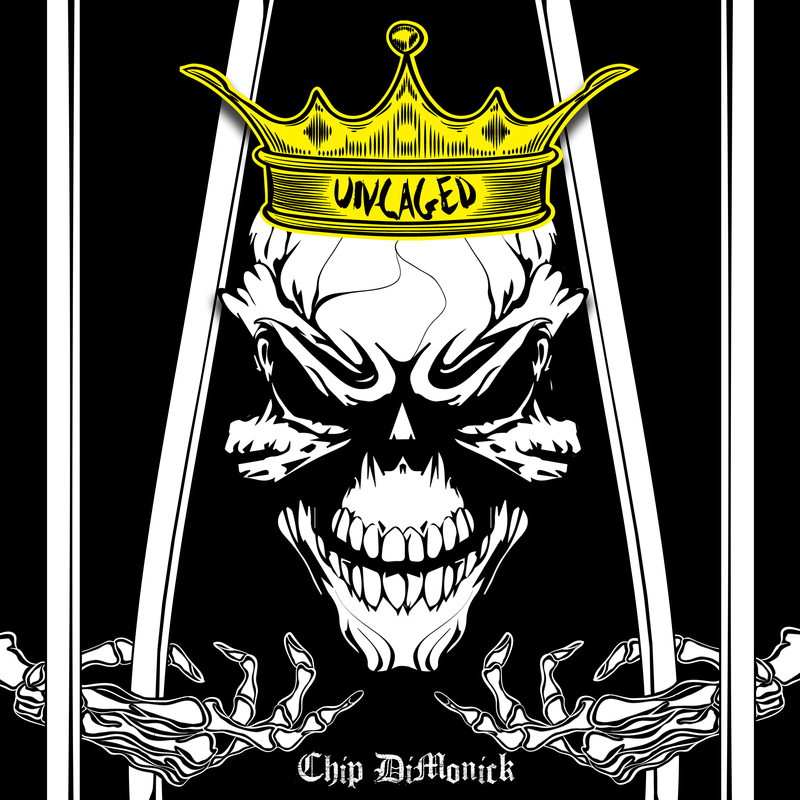 As this is a very democratic webzine (and to avoid becoming “The Demonic Moose”), it’s time to soothe the mood a little with the top-notch Hard Rock by Pittsburgh-based band Chip DiMonick and their brand new party-all-the-time EP entitled Uncaged, the fifth release in their career. However, that doesn’t mean things are not going to get loud or nasty, so you better be ready to break out and enjoy the music by Chip Dimonick and his notorious crew. Formed in 2005 and being voted “Best Punk Band” in the Iron City Rocks Pittsburgh Music Awards for the past three consecutive years, this Pennsylvanian quartet is back with two new members (DJ Carothers on lead guitar and Gregg Livengood on drums) and, of course, more of their Hard Rock/Punk Metal music, offering us all catchy tunes talking about love, hate and revenge, among other bitter topics. “Uncaged is all about breaking down the barriers that restrict who you are, whether imposed by yourself, society, or whomever”, said Chip DiMonick, founder of the band. From the very first notes of the title-track, Uncaged, you can already get a sense of how interesting the mix of Hard Rock and Punk Rock in their music is. It’s gripping “pub” music, perfect to be played on any radio station, where Chip commands the festivities with the song’s sing-along chorus (“Hey, tonight we’re uncaged / You can’t hold us down / Hey, forever uncaged / Everybody break out”) while the rest of the band delivers solid Rock N’ Roll lines. And they keep rolling on with You Ain’t Punk, a message to their haters due to their aforementioned awards as “Best Punk Band” in Pittsburgh (“You ain’t punk, you ain’t punk, I bet you never saw the Misfits once…”). Talking about the music itself, it sounds like if Green Day (especially the riffs found in the classic “Welcome to Paradise”) met Motley Crüe: they managed to stay heavy even adding that specific Punk Rock sounding we’re used to listen on the radio, leaning towards fresh and exciting Punk Metal with highlights to the strong bass lines by Joe P.
The band gets heavier and slower in That’s How Much I Hate You, a pure Rock N’ Roll tune thanks to DJ Carothers for his awesome guitar riffs and solo which would definitely be an excellent song for a strip-tease, despite its acid lyrics. Actually, I guess the lyrics would also be perfect for that special “presentation”, don’t you agree? Anyway, the following track, Lightning Bolt, is a smooth Hard Rock ballad that seems to have been crafted in the 80’s or 90’s so classic it is, with the great vocal performance by Chip adding the emotion the song demands. Girls will fall in love for this ballad, no doubt about that. The last two songs in Uncaged are just as good and catchy as everything else, starting with Hand Grenade (check out the acoustic version HERE), another incredible radio-ready tune where all band members are throwing their “hand grenades” in the form of fast and heavy riffs in total sync with the drums by Gregg, boosted by huge doses of energy. Let me say that the fact it’s the heaviest of all songs has nothing to do with it being my favorite of all tracks. Or maybe yes? Well, the last track of all, Dig Deep, is yet again a melodic display of pure Hard Rock enhanced by hints of Rap Metal. And how not to feel inspired by these simple but very effective lyrics (“You gotta dig deep, you gotta have faith / Put all those doubts right in their place / When you’re dead and gone, you can finally sleep / But you’re alive right now so you gotta dig deep”)? In a nutshell, pick any song from Uncaged, play it on the radio and you have an instant hit. As simple as that. And if you like what you see, go check their official Facebook page and also grab your copy of Uncaged on CD Baby, Amazon or iTunes. Let’s break out and raise our fists and glasses to the heartening music by this awesome American band. Best moments of the album: Uncaged and Hand Grenade. This entry was posted in 2015 New Releases and tagged chip dimonick, dig deep, dj carothers, gregg livengood, hand grenade, hard rock, iron city rocks pittsburgh music awards, joe p., lightning bolt, pennsylvania, pittsburgh, punk metal, punk rock, rap metal, rock n' roll, that’s how much i hate you, uncaged, uncaged ep, you ain’t punk by Gustavo Scuderi. Bookmark the permalink.